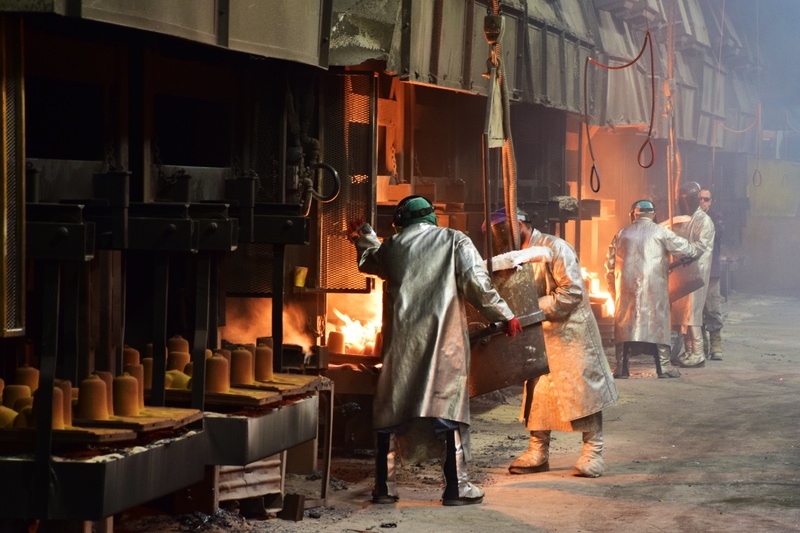 Eagle Alloy, Inc. was founded in 1979 and quickly grew from a short-run facility to a medium-to-high-production steel foundry. Despite the company’s success, its founders were not satisfied with the status quo. Having heard of developments in lean manufacturing, they decided to implement these tools in hopes of achieving greater efficiency, stability and quality throughout the production process. As with many production facilities beginning to experiment with lean manufacturing, Eagle Alloy started with 5S. 5S is easy to adapt to just about any environment, and the key to lean is customization. Every lean tool must be adapted to the particular type of production, to the size of the company and to the facility's space. When they started using 5S, Eagle Alloy didn’t have to make any drastic changes to their workflows, scheduling systems or overall company culture. Instead, they just followed the acronym: Sort, Set in Order, Shine, Standardize, Sustain. Implementing 5S led to a cleaner, less cluttered workspace. Employees were able to work more quickly because they always knew where to find their tools, and waste materials stopped occupying useful space on the plant floor. Furthermore, 5S helped create a more welcoming environment for clients to tour the facility, immediately resulting in higher conversion rates. 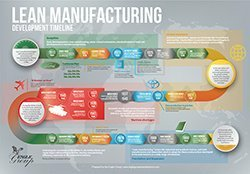 For more on 5S and other lean tools, click the thumbnail at the right to download our lean manufacturing infographic. Some companies that implement the 5S tool say that they practice lean manufacturing. 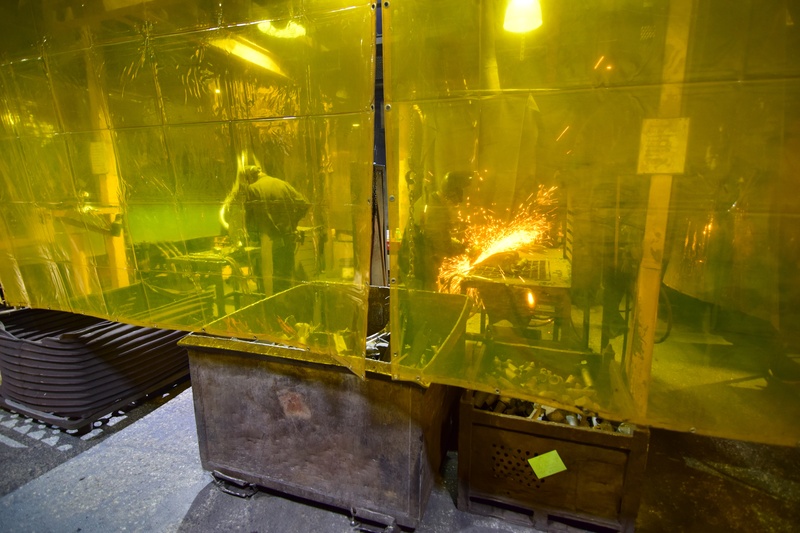 While this isn’t entirely inaccurate, according to John Workman, co-founder of Eagle Alloy, there’s a night-and-day difference between dabbling in 5S and reinventing production from a lean standpoint. To really go lean, Eagle Alloy hired a pair of locally based lean consultants to guide them through the process. They worked together to choose which lean tools to implement, and how to adapt them for their production environment. During their initial evaluation, Eagle Alloy and their consultants discovered that a key bottleneck occurred in transportation from one workstation to the next. Products would be cast, then carried by forklift to a torching station, then carried to another station for arcing, another station for rough grinding and yet another station for finish grinding. Each station had a queue of castings waiting for the next step in the process. The solution to the problem was to combine multiple finishing processes into a single cell. This way, each piece comes out of the mold, goes into a cell, and emerges finished and ready for heat treatment. This organization of work into multi-process compartments is the basis of cellular manufacturing. Continuous Flow is another lean tool that’s often implemented in a cellular manufacturing system. Also known as one-part flow, or single-piece flow, continuous flow means that small, manageable batches of parts move through every step of the process. In traditional batch manufacturing, large numbers of parts will undergo the same process, then another process, then another. With cellular manufacturing and single-part flow, inter-cell transportation can be virtually eliminated. Additionally, Eagle Alloy decided to start using Takt Time. This lean tool helps managers plan production to meet customer demand. Takt time is defined as time available divided by demand in a certain period. Eagle Alloy standardizes production metrics using pounds of parts produced. That way they can measure the performance of each department based on overall weight, rather than on part number. Eagle Alloy’s combination of cellular manufacturing, continuous flow and takt time dramatically reduced inefficiencies in transportation and inventory storage. It also led to less confusion on the shop floor, further reducing lead times. 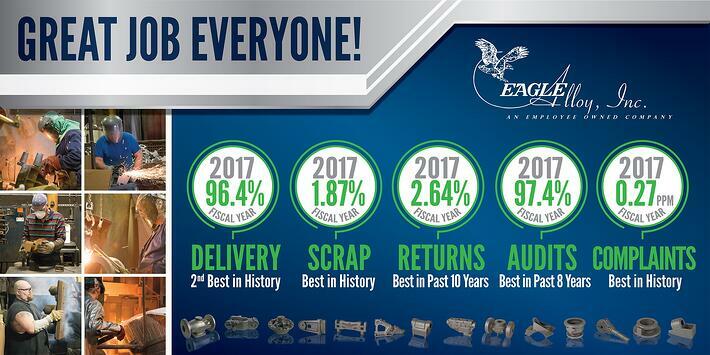 Today, Eagle Alloy's customers enjoy 98-99% on-time delivery. Implementing lean tools the right way is not necessarily easy, or cheap. 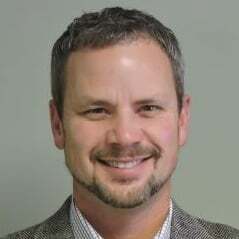 Eagle Alloy co-founder John Workman estimates that, in the year they added cellular manufacturing, they spent over 10% of annual revenue on the changeover. Most of the costs went to new equipment, electrical infrastructure and improved ventilation. Eagle Alloy COO and President, Dave Fazakerley, also notes that lean manufacturing can seem to stifle individuality. Each operator in the shop might have a different preferred method of getting things done–but in lean, everyone has to decide on the optimal way of doing a job, and everyone has to do the job exactly that way. While the changeover can be difficult for some people, any negative effects on morale can be offset by opening clear communication channels and enforcing strict accountability at all levels. By implementing lean manufacturing tools and principles, Eagle Alloy dramatically improved lead times, inventory levels, quoting processes and overall part quality. Not everyone has the same results, and Eagle Alloy’s Dave Fazakerley claims that they owe their success to the dedication of employees at all levels of the company. To really work lean, every single employee has to be involved in the process, every single day. Eagle Alloy’s biggest change was implementing cellular manufacturing, but over the years they’ve followed lean principles like Kaizen and Gemba, which have resulted in a continuous stream of small adjustments, improvements and changes. By continuing to utilize these lean tools, and fostering an environment of constant improvement, Eagle Alloy is able to claim continuous progress in eliminating scrap, delivering on time and minimizing defects. Just take a look at their latest numbers to see how well it's working.